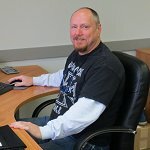 Welcome to CarbideDepot.com, the largest online supplier of carbide cutting tools! The idea for Carbide Depot started back in 1997, as an Internet site where unused surplus carbide inserts could be sold. Using the Web was the perfect way to allow customers to search our database of surplus tooling for items that they happened to use on a regular basis. For four years we saved our customers literally hundreds of thousands of dollars, while supplying well over a million brand new carbide inserts at huge surplus price savings. Along the way we found that our customers had a lot of technical questions and were looking for online tools to assist their daily activities with cutting tools. So, we started to build a wide variety of technical resource tools. Handy calculators, reference tables, application guides; the list just kept growing. It seemed that word about "The Depot" started to spread, and soon we started getting e-mails for all kinds of tooling requests. It ended up that customers were simply saying to us "Hey, any chance I could just buy all my carbide tools online at Carbide Depot." As a result, in 2002, we started working hand-in-hand with various carbide manufacturers to become a full line distributor of carbide inserts. Now we've grown to be the #1 Online Distributor for Carbide Tooling. There's nowhere like "The Depot" for the most advanced Web-based shopping experience, breadth of selection, and technical resources. We are now an online distributor for tools from Kennametal, Iscar, Mitsubishi, Garr Tool, Tungaloy, SGS, Kyocera, Walter, Allied Machine, Tool-Flo, OSG, and we're adding other top quality suppliers on a continual basis. In 2009 we launched Carbi-Universal, our own line of carbide tools, which has developed into one of our most successful brands. We will always feature competitive discount prices, likely the best values you can find anywhere on the Web. All of our orders are processed by credit card only, which means all of our customers share equally in the savings of Carbide Depot not having to constantly track down slow paying accounts. We will always be more than just an online shopping site. Carbide Depot is committed to completely automate the functions of the traditional industrial distributor in an online environment. This saves you time and money. We will always offer our customers information on what tools to use for their specific applications as well as the parameters by which to use them. By handling our customer interactions and transactions online we can pass significant savings on to our customers. We also drop-ship most of our orders to you direct from our suppliers' warehouses for fast delivery. All this adds up to significant savings that we pass onto our customers. We will provide the Internet's best online interactive resources free for manufacturing professionals so you can find the right tools, optimize jobs, and conduct quick and easy comparison shopping. 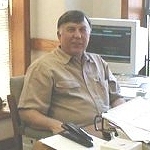 William McKnight is president of Carbide Depot and is primarily responsible for Web Development and database management. 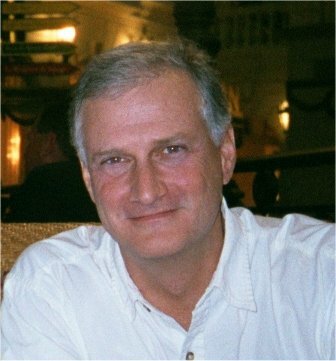 William has worked in a B2B Internet environment since 1999, and previously in industrial distribution for 12 years. Dudley Barton handles Financial Management and supplier relations for Carbide Depot. He has worked in the cutting tool distribution field since 1980 and also is owner of Max Tool, an industrial distributor also located in Birmingham. Brian Lowe is Sales Manager for Carbide Depot, and handles telephone sales support. Brian is also responsible for special quotes and email response. 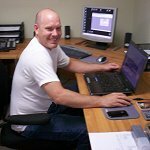 Brian has 30 years of experience in cutting tool distribution. Jeff Dailey is Purchasing Manager for Carbide Depot. Jeff provides telephone sales support as needed. Ted McKnight is Marketing Manager for Carbide Depot but also assists in Web development and database management. Chandler Poston is IT Manager for Carbide Depot. He was with UPS for 6 years in computer programming and database management. 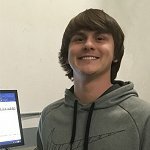 Chandler assists with Web development and SQL programming. Tanner Poston is our warehouse clerk. He handles shipping, receiving, and returns.